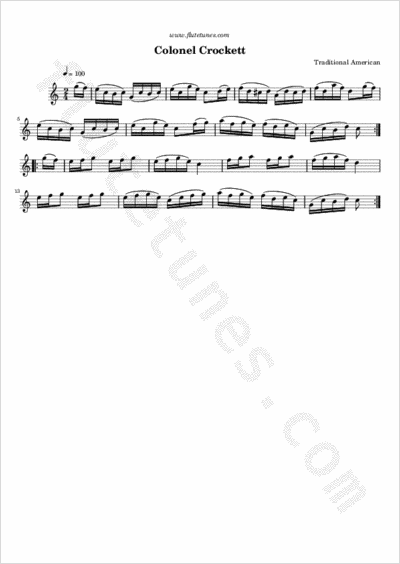 This melody appears in the 3rd volume of George P. Knauff's Virginia Reels, published in Baltimore in 1839. The title refers to Colonel David “Davy” Crockett, the famous frontiersman and statesman, who perished at the Battle of the Alamo in 1836. Three years after his death, when the tune appeared in print, he was already a legend!